Do you have questions about Outsourcing ecommerce projects? What is your company's approach for onboarding a new customer? What steps will you take me through? Who would we be interacting with on a daily basis? How quickly can you start on a new engagement? We are always ready to process a free sample to let you know our ability and quality of our work. Once you get satisfied with samples, please advise your preferred price package, we will forward your project and staff requirement to HR officers. Once you confirm, HR will assign Project manager, staff and Qc staff for your projects. The project manager will be the point of contact for your project. You can contact via email to discuss and inform your project details. Do you have advice and recommendations for how to collate products into categories and sub categories? Each store and its category structure is unique. So most of our clients provide category structure. And if any category missing in store, we add that category into store with clients permission. Do your processes/templates include specific steps to include SEO optimisation? We try our level best to get best SEO output in product format. Following are the few of the process we manage, that is helpful for SEO. We arrange your product titles within 65 char using fixture type, brand name, color, keyword etc, Optimize product images, rename product images according to the name, remove unnecessary characters from the description and arrange attractively for your customers. Do you have Australian clients? Could you provide me with contact details of two Australian companies for whom you have done Magento work? Please review Intellect Outsource Clients Testimonials. we have no permission to reveal any of our clients details to enquired clients. In future, if you are one of client and you wish not to reveal your company information to other clients, we will never reveal it. According to you what do you think how many daily listings you can create? Whats the cost for data entry? How many products will be added a day? Ecommerce data entry & excel formation depends on the catalog, manufacturer website or any other providing data sources of your products. Each ecommerce project is unique. 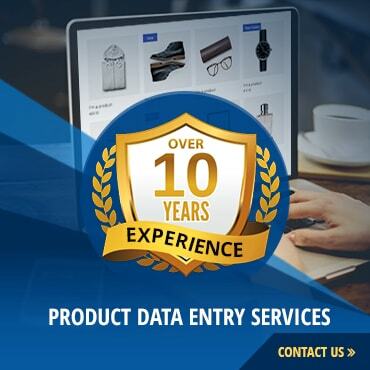 Therefore ecommerce product data management service team has to analyze the catalog products or providing data sources for building, maintaining and updating the spreadsheet according to the options and variants of the products. Depending upon the cart, team has to create appropriate attribute to display the products in highly professional manner. Therefore each ecommerce store has unique procedures to maintain their title, description, meta part, product data arragnment and project output according to the project requirement of the client. How many hours a day the worker will be working daily? We are available for 24 hours every day except all Sundays. Most of the US and UK clients request to work during their daytime working hours, but we always suggest to work in Indian Day time for US clients so that clients can manage their store during their business hours without any issues. As if we need to do any updates or changes in the store which may not cause store un-available. Also, clients can check all the work done when they are on their desk in morning and inform us if any updates needed. But if client requires work during US Day time, we are always ready to move according to your project requirement..
What week days and weekends? We always would like to share one important information is that each ecommerce store is uniqe. Therefore please send your project to inquiry department. We will analyse and contact you soon. We also offer gurrentee as we have more than 10 years of experience in ecommerce business. Therefore we will be right outsourcing partner for your product catalog and image enhancement projects. Once you confirm the project, project manager will be the point of contact for your project. You can contact via email or Skype to discuss and inform your project details. Concerned officers will communicate with you during normal US business hours. We are looking to do updates to exiting to existing products, add new products and do price checking and price updates only. Do you have separate work flows for each type of work? How do you typically do your changes - in a live production instance of the site or in a staging site? Ie, what are the QA/test/check steps that we can put in place to check on quality? Do you offer any quality guarantees? & Who would we be interacting with on a daily basis? We have many bad experiences from the past. This is why we're more cautious this time. What if your team member unable to complete the work or disqualify, what would be the return to us? Once we commit with your projects, it is our responsibility to submit the project output according to your expected level. Therefore If there are any disqualified work, it will be free. We never include disqualify work hours in project daily work report. The information on this website is protected. Users of this website are not authorized to redistribute, reproduce, republish, modify, or make commercial use of the information without the written authorization of Intellect Outsource.